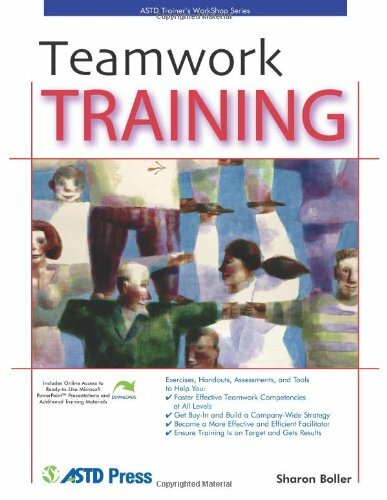 Learn how to cultivate successful teamwork within your organization with Teamwork Training. Focusing on ways to foster and demonstrate teamwork, this comprehensive blueprint provides ways to define and assess key competencies, get senior management to buy into your plan, plus basic program guidelines to create a winning team strategy for your company. With a CD-ROM full of handouts and tools, you'll quickly be creating engaging and result-oriented programs.